In India gaming is getting immensely popular day by day and people are looking out to get good hardware to play and stream their game. 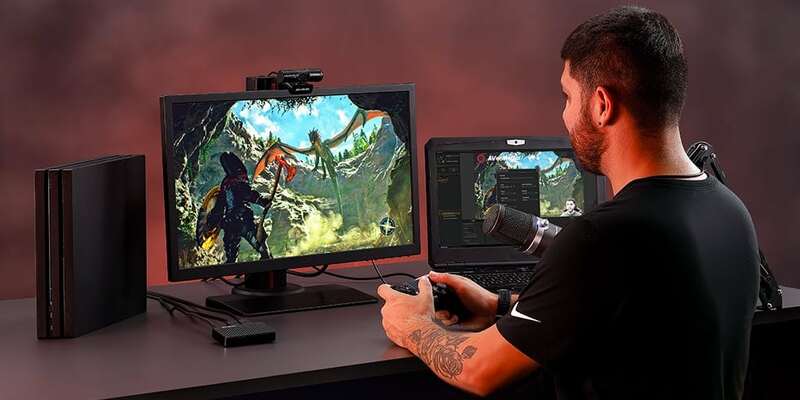 Recently, AVerMedia Technologies, Inc. announced the availability of their gameplay capture and stream card Live Gamer MINI GC311. The product is really small (100 x 57 x 18.8 mm) and weighs just 74.5 grams but doesn’t let the size fool you! It delivers 100 % zero latency and let you enjoy the gameplay, doing all the hard work itself. On the other hand, the compact form factor let you put it in your pocket and forget about that while going to the next streaming location. It also has UVC technology which allows standardizing all Windows PC graphic cards. So all you have to do is plug and play, just like a keyboard and it will be ready to record or stream. Stream Engine feature allows the user to record gameplay via 3rd party software directly without putting the pressure to the CPU, Proprietary software, RECentral maxes out the power of Live Gamer MINI GC311 as it allows functions like multi-stream, rich overlays, chroma key and lots more. The requirements to run Live Gamer MINI GC311 is Windows 10 with UVC Protocol support. Hardware requirement for PC is Intel® i5-3330 or comparable (i7 recommended) or if you are in the red squad AMD A10-7890K (Quad-core) or above paired with NVIDIA GTX 650 / AMD Radeon R7 250X or above are recommended and minimum 4 Gigs of RAM. For the laptop, Intel® Core™ i7-4810MQ with NVIDIA® GeForce® GTX 870M and 8 Gigs (minimum 4 Gigs) are recommended. The interface is USB 2.0 with one Micro USB, video and audio input and output (pass through) is HDMI. For now, it supports up to 1080p 60 FPS resolution in MPEG 4 (H.264+AAC) format (supports hardware acceleration) and does not support viewing/recording/streaming of HDCP protected signals, 4K, HDR, wide-angle resolutions or high refresh rates. All around I think if you wanna carry the whole streaming system with you and for the price, it comes in which is 15,900 INR it is a great value for money product. It also comes with 2 years of warranty and you can buy it now from Amazon or MDComputers right now in India.